Spring showers were in the forecast this week, which gave me some downtime to think about entertaining for Easter Sunday. I love hosting special celebrations, especially when you get to enjoy the day making lifetime memories in the company of fanciful decor! 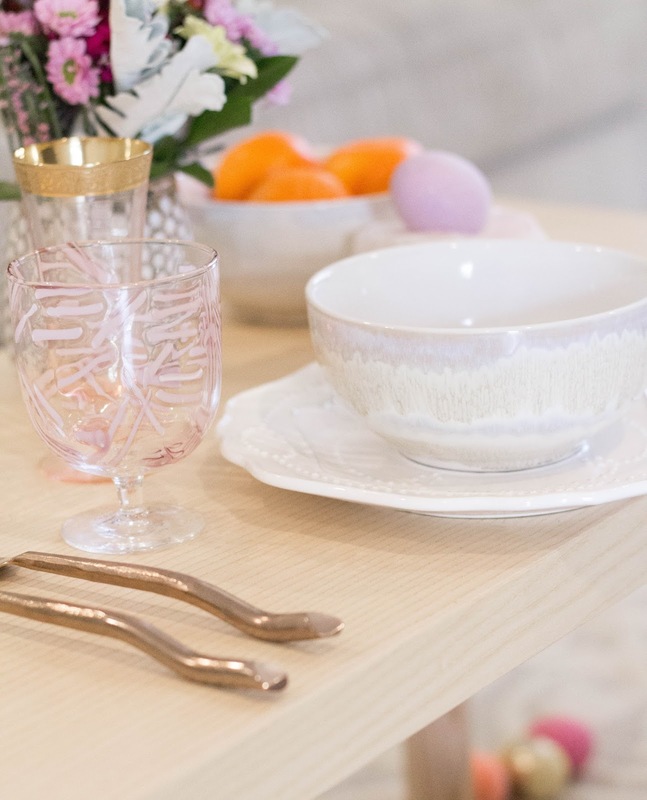 I did a little shopping over the past few days, picking up knick-knacks from some of my favorite stores to help set the tone for a sophisticated color palette for Easter. Rather than using delicate pastels, I aspired to create a dance of sunset hues with a fresh and organic approach. 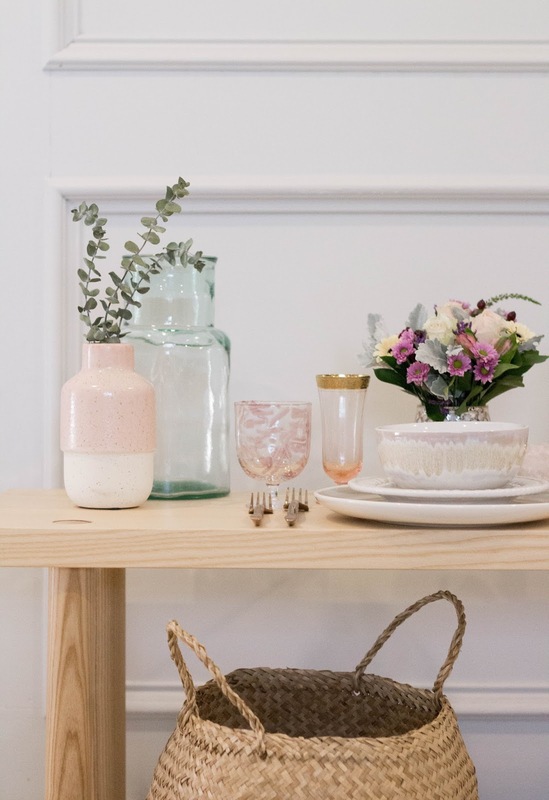 The details are still coming together, but I hope this table setting inspires you to create a festive and beautiful display for the upcoming Easter holiday! 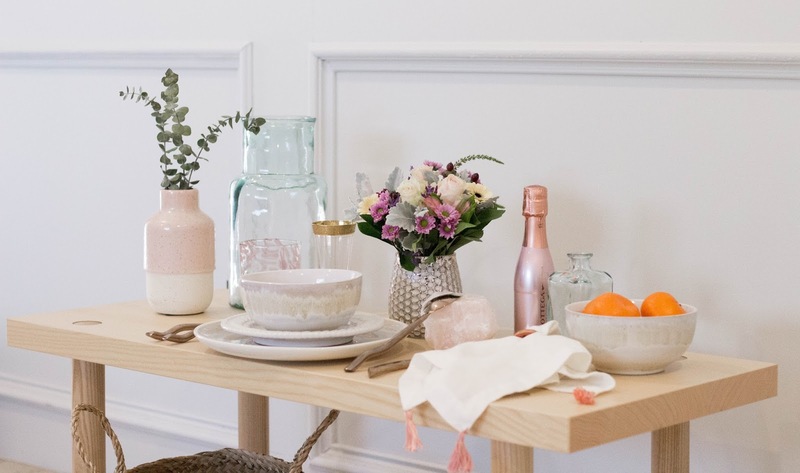 With a sunset color palette in mind, I wanted to lay out a vignette of muted shades of blush and rose, orange and yellow, as well as a whisper of lavender to bring in that Easter feel. 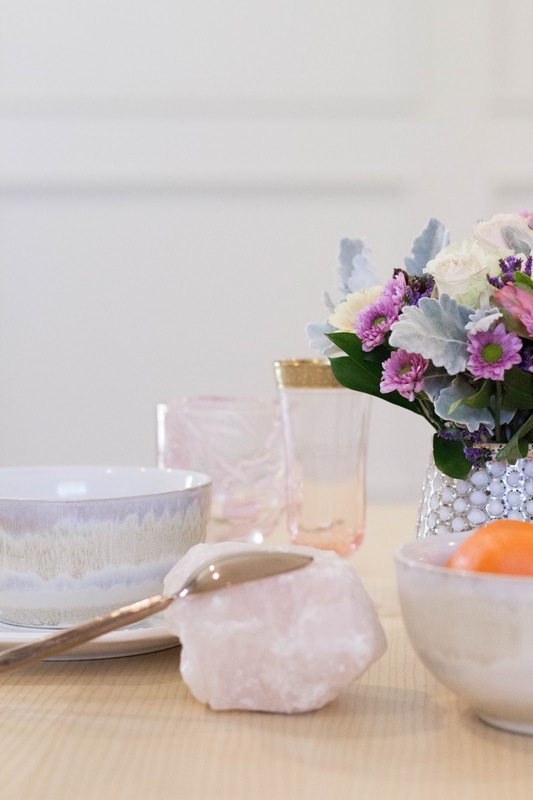 Surprisingly, these ceramic bowls from Anthropologie set the tone for the entire table and they couldn't have been a better jumping off point. For celebrations like these, I enjoy upgrading the flatware for a luxury feel, especially if you're entertaining for smaller groups. 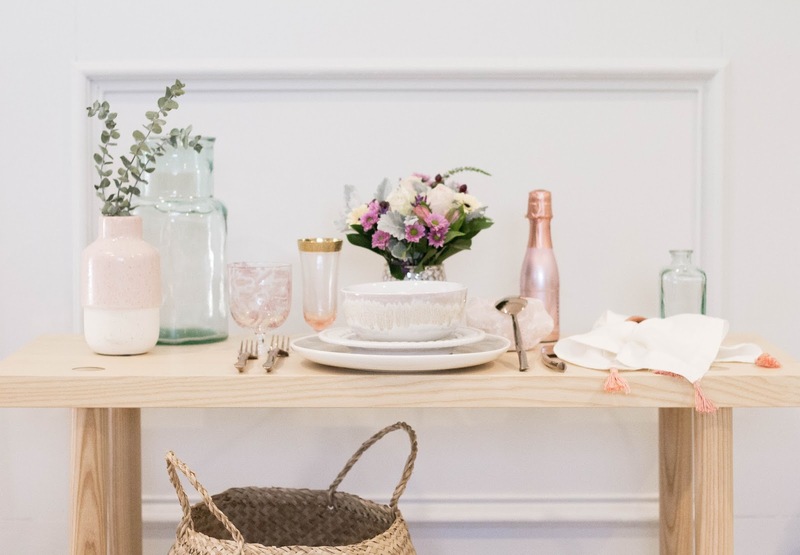 With rose gold as a must have metal for this display, I purchased these twig dinner forks and spoons, as the perfect way to incorporate this dreamy color. Modern glass tumblers, vintage wine glasses, and stone card holders, like these Gilded Agate Card Holders are some of the gems on my wish list. 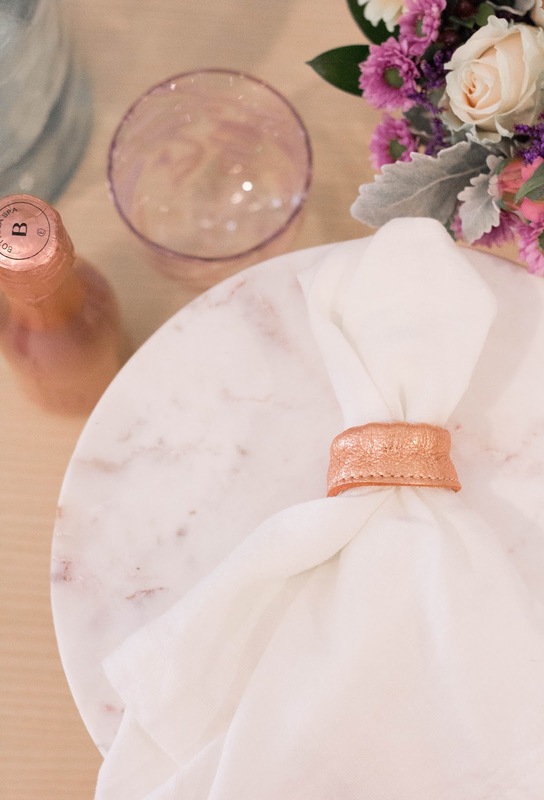 Along with white linen napkins and keepsake rose gold leather hair ties as napkin rings, the design will be a thoughtful & stunning Easter look! 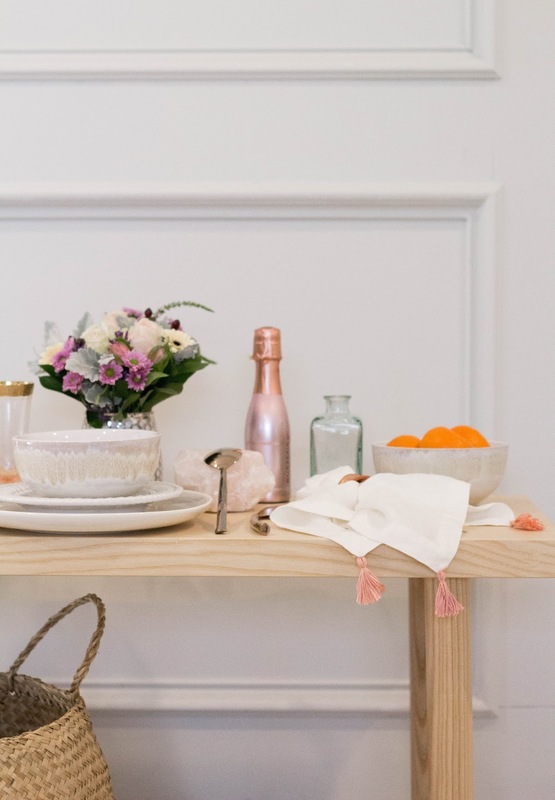 Style Tip: Upgrade simple napkins with handmade tassels, as I did here, for a playful bohemian feel. 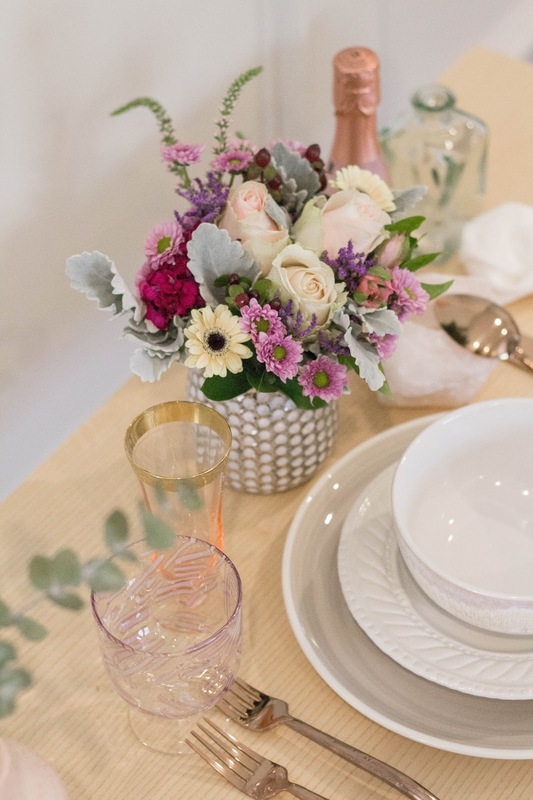 Among a collection of clear & green bottle vases, both small and large, will be spring flowers such as spray and garden roses, stock, and poppies to complete the arrangement. 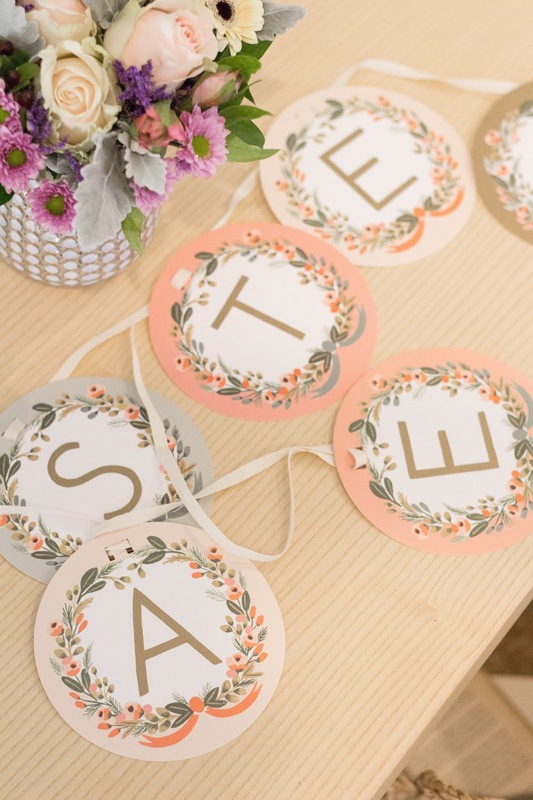 Can't find the fresh blooms you're searching for? Try looking for them at your local craft store. In an arrangement of mostly fresh flowers, a hint of faux blooms will fit right in. Of course, Easter Sunday wouldn't be complete if you didn't have an Easter Egg Hunt! I found these clever egg decorating DIY's on Pinterest, along with cute rose gold baskets from Anthropologie and a festive art piece (great for the kids). Check them out and let me know if you give them a try! Stay tuned on Instagram for photos to come on the final set-up and have a blessed holiday weekend!